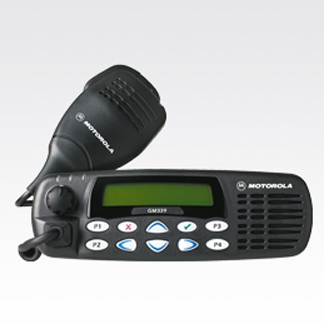 The GM339 is suited for organisations that are growing and has a need for a versatile and reliable communication system.With the GM339, you can enjoy immediate and reliable communication to keep your mobile teams working efficiently. The GM339 supports major 5-tone signalling standards. • 255 channels allow accommodation of a vast number of users and workgroups concurrently. • 4 customised buttons for users to assign the most useful operations to specific buttons for one-touch access. • Excellent audio technology for communication even in a noisy environment. • 5-tone selective signalling standards offer users flexibility in programming own "user-defined" signalling standards. • Optional voice storage board allows recording of important messages or personal memos of up to 120 seconds.